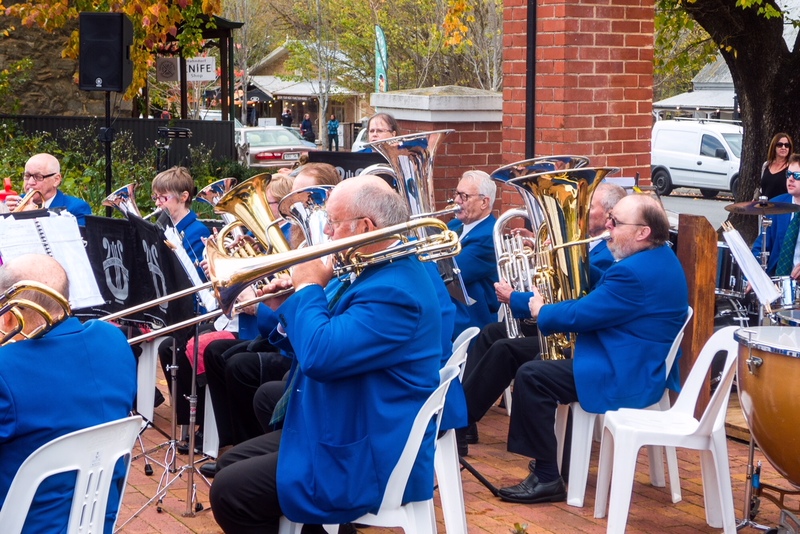 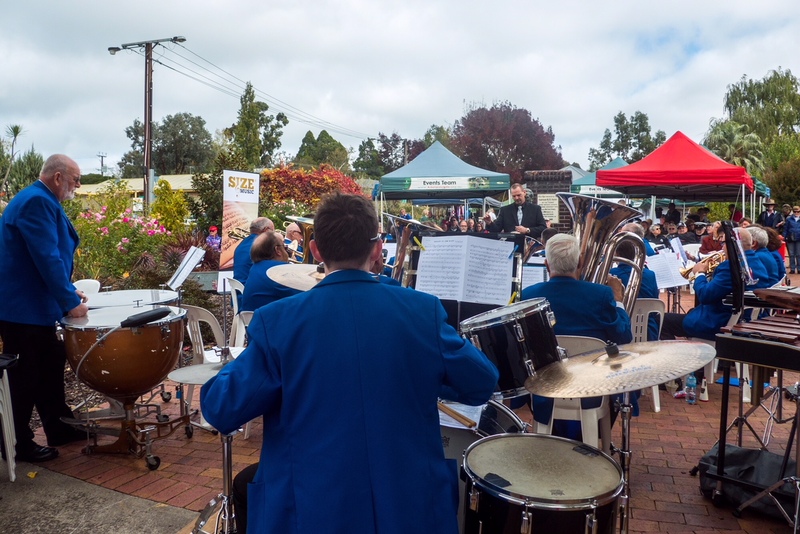 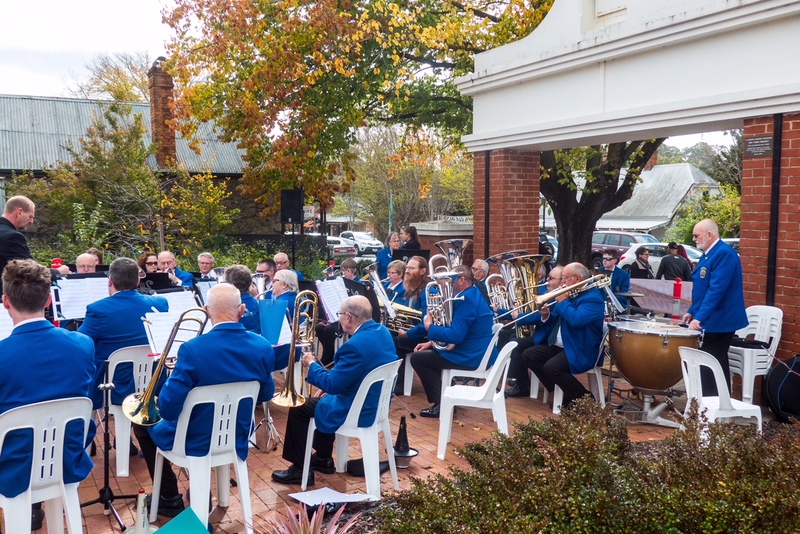 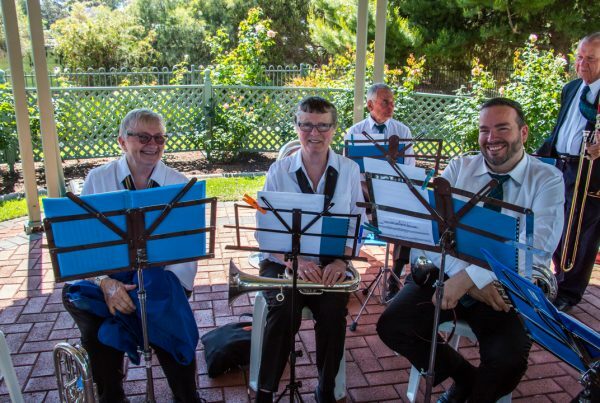 The annual Hahndorf Band Festival was held on Saturday 12th May – we arrived to a very windy and cold day with the occasional burst of sunshine through the gaps in the clouds. 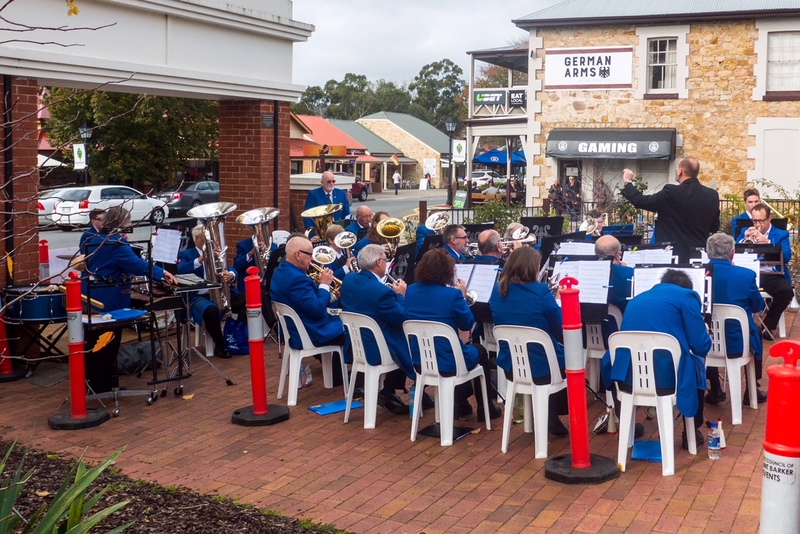 Organised by the local Hahndorf Town Band, it gives bands an opportunity for some fun competition as well as entertainment for the crowds. 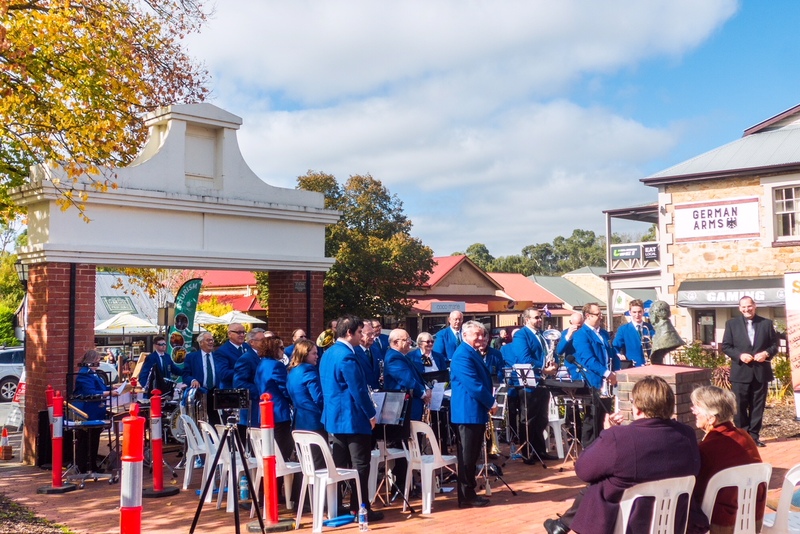 This event is always a very enjoyable outing, especially as we get a chance to hear other South Australian bands that we might not otherwise hear. 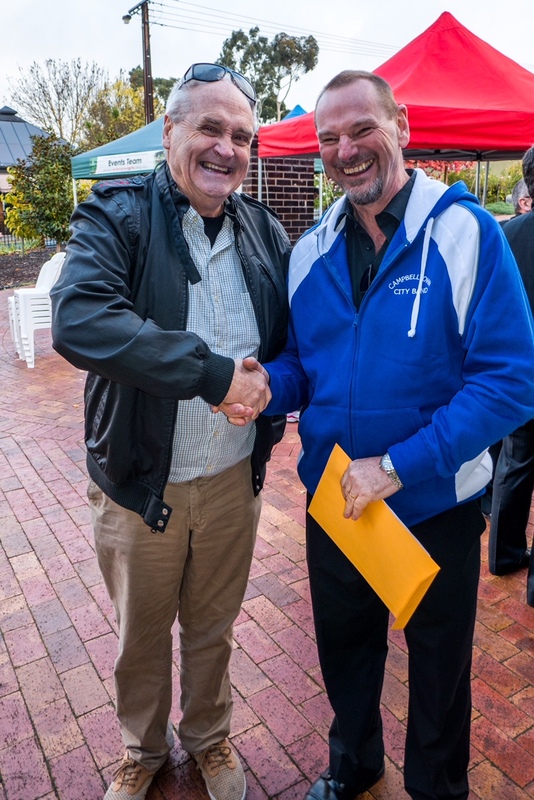 The adjudicator for this year was Bruce Raymond, a well known and respected figure in the music scene throughout Australia. 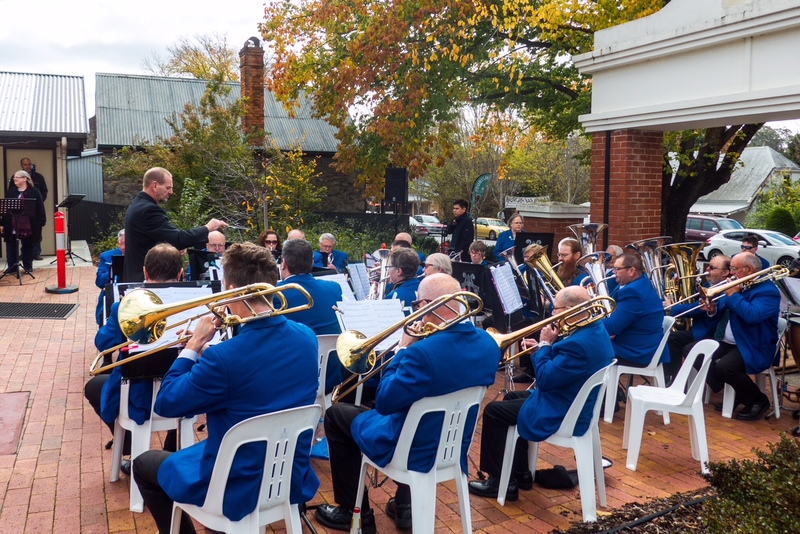 We started our section with the popular and fast moving Eve of the War from Jeff Wayne’s musical ‘The War of the Worlds’. 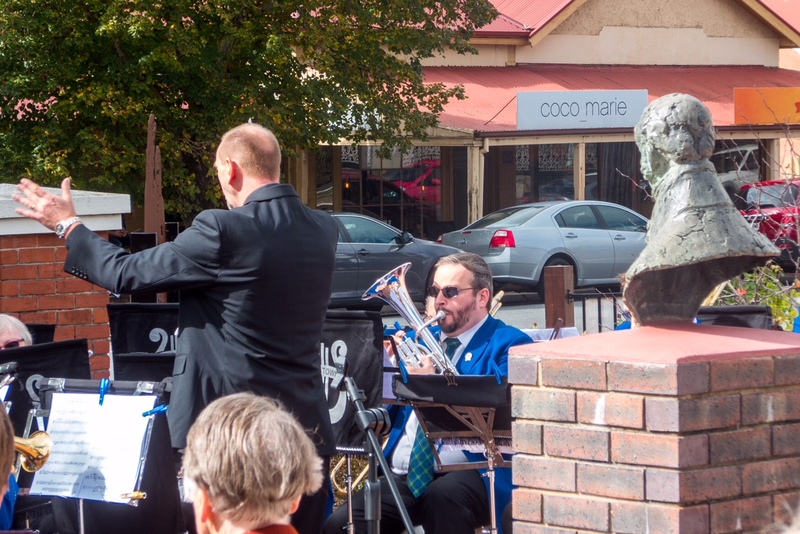 Colours of the Wind was our next piece – starring our guest Flugel player Mike Astachnowicz – that the audience loved. 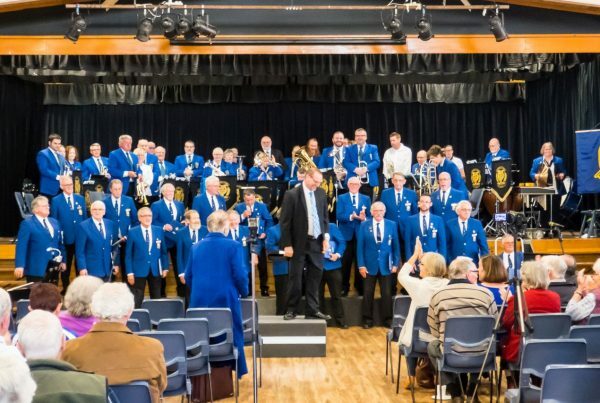 Changing tack, we went to that great classic Singing in the Rain (how apt for the day unfortunately!) 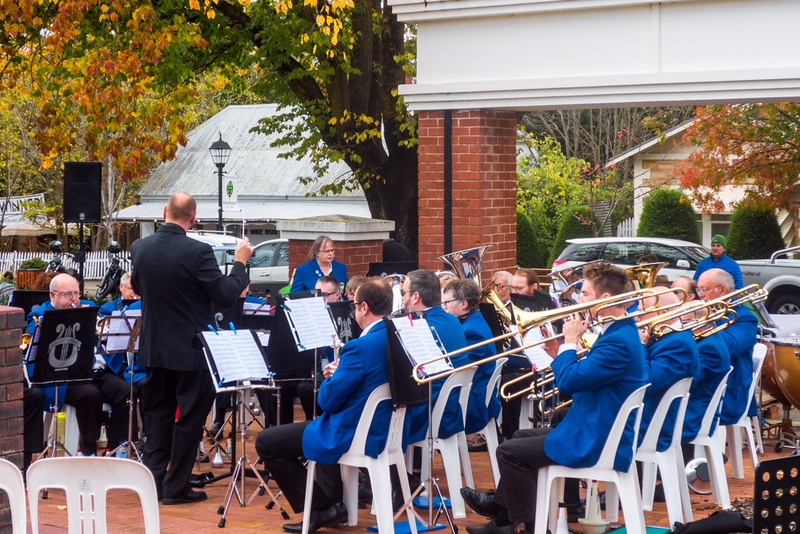 and then New York, New York. 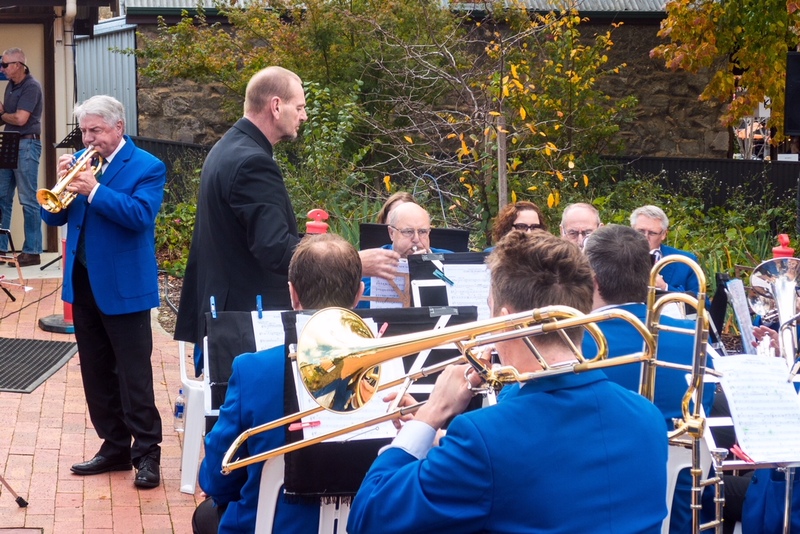 Following these was the beautiful Con Te Partiro – Andrea Bocelli’s signature song – with our very own Gary Boland on Cornet. 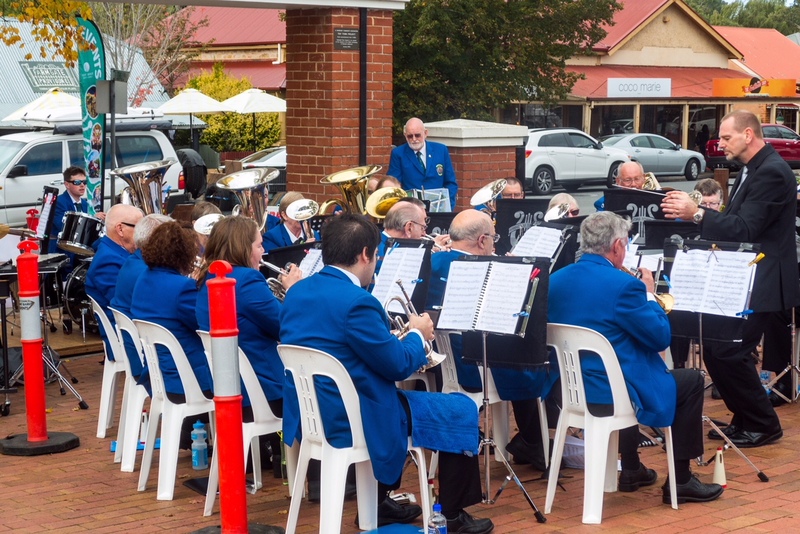 Finishing our set with Michael Jackson’s Thriller was the perfect end to a brilliant afternoon for us. 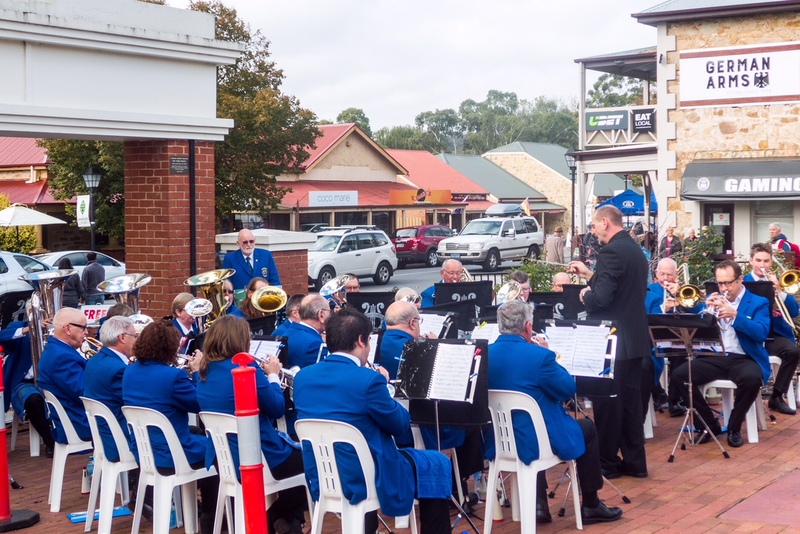 A huge thanks to the organising committee of the Hahndorf Town Band. 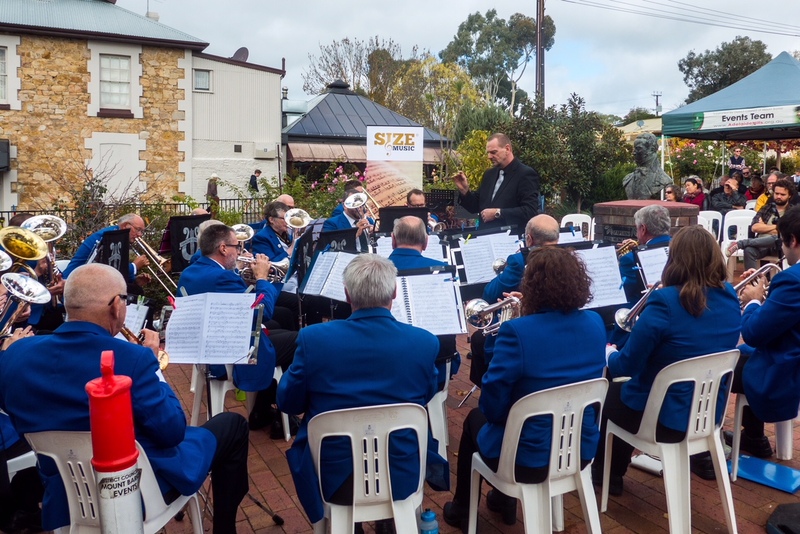 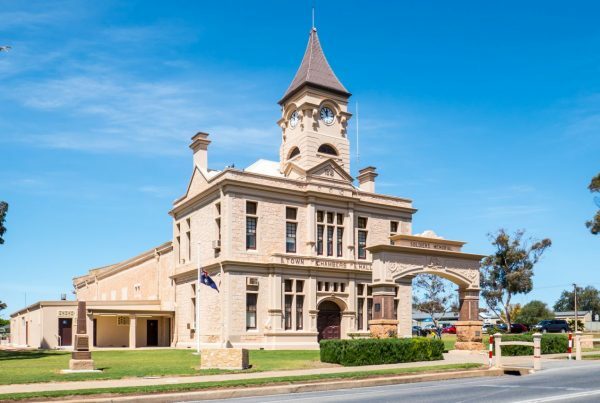 For those of you wondering, we came 2nd out of 8 bands, pipped at the post by 1 point by the Mitcham City Brass Band – another wonderful South Australian brass band led by their musical director Steven Packer. 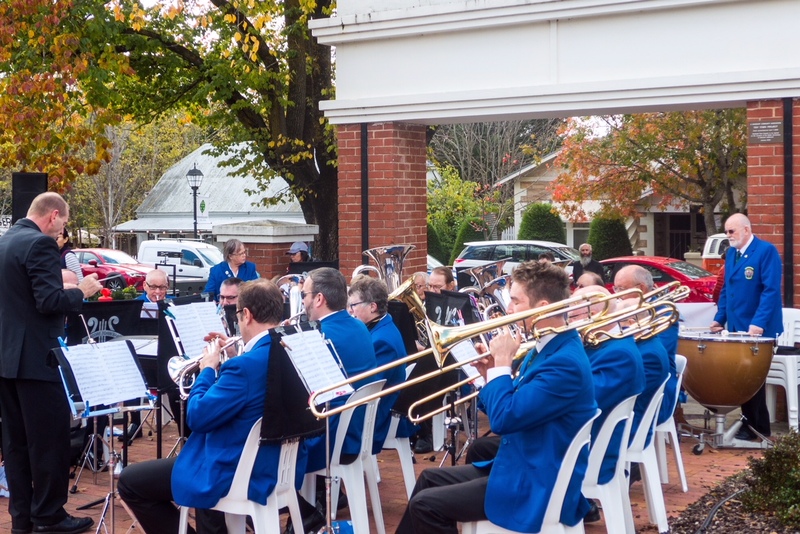 Be sure to check out the videos of our two pieces New York, New York and Thriller.